Home > Employment Law > When Does FMLA Start? Whether you are expecting a new addition to your family, planning to adopt a child soon, considering caring for a child in foster care, or experiencing a serious illness, you may qualify for leave under the Family and Medical Leave Act of 1993, commonly known as FMLA. The leave covered by FMLA is intended to give you time to recover and adjust to your new circumstances and the changing dynamics within your family. FMLA is an act that was passed in 1993. It is overseen by the Wage and Hour Division of the United States Department of Labor, and gives qualified employees unpaid leave with guaranteed job security so they can acquaint themselves with their new circumstances without worrying that their position will be in jeopardy. To qualify for FMLA, certain criteria must be met by both the employee and their place of employment. Employees must have been employed by their business for twelve months and are required to have worked for 1,250 hours over that period of time. On the employer’s end, there must be fifty employees within 75 miles of the business. If any of these criteria are not met, the employee is not eligible for FMLA-sanctioned leave. If employees are eligible for leave, they are entitled to twelve weeks of unpaid leave during which their job is held for them. FMLA benefits do not apply to employees in an elected office, but are extended to people who work in the private and public sectors. Employees who are pregnant or planning to adopt a child may meet the qualifications for FMLA based on condition, but if they are working part-time hours (less than twenty-five hours per week), they are not eligible for FMLA benefits. The same goes for employees who have not been employed for the required twelve months. Employees are allowed FMLA leave if they are suffering from severe illnesses, but common short-term ailments such as a cold or a minor fracture are not considered eligible for FMLA leave. If you have prior knowledge of the birth of a child or an impending adoption, you are generally required to give your employer at least thirty days’ notice if you wish to receive FMLA benefits. However, even though thirty days is the minimum, it is recommended that you inform your employer of your condition as soon as you feel comfortable doing so. This allows your employer time to establish a plan for covering your duties during your absence, and also gives them the opportunity to offer you accommodations leading up to your leave as well. Giving your employer a substantial amount of notice will not only guarantee the success of the company while you are gone, but will also foster a positive and open dynamic between you and your employer which will benefit you in the long run. In the case of an undetected pregnancy or an emergency surgery, thirty days’ notice is not required, and the employee is still entitled to FMLA benefits. However, these situations should be avoided if at all possible and if you have a foreseeable circumstance, notice should be given as soon as possible. While FMLA leave guarantees that your job will be held until you return at the end of your twelve weeks of leave, you will not be receiving a paycheck unless your company has leave policies independent of FMLA. FMLA leave only guarantees unpaid leave. In addition, if a couple is expecting a baby and they are both employed by the same company, they are required to split their twelve weeks of leave, typically receiving six weeks each. If you are in this situation and would like to allocate your time off differently, you should run your case past an employment law attorney to be sure you are able to split your time and stay within the regulations of FMLA. 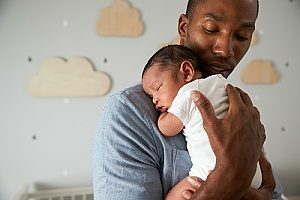 FMLA can be tricky, especially if you work for a smaller company that does not have corporate policies regarding leave. To protect your job while you recover and adjust to a new dynamic within your family, it is important to involve an employment law attorney in your short-term leave plans. An employment law attorney will be able to assist you with planning your leave and can help you understand how FMLA applies to your specific circumstances so you can go into your time off feeling confident and can return after your leave feeling confident about resuming your job. To speak with an employment law attorney, contact The Brown Firm PLLC online today.